Good morning~! How are you today? My 4 other giveaways already ended last May 30. But today, we'll be having another giveaway. This time it was sponsored by PERSUNMALL. We'll be choosing 2 winners for this giveaway. You may choose any (1) of these items! Same goes with other giveaways, all you have to do is to follow my rafflecopter widget! The giveaway starts today up to June 23, 2013. 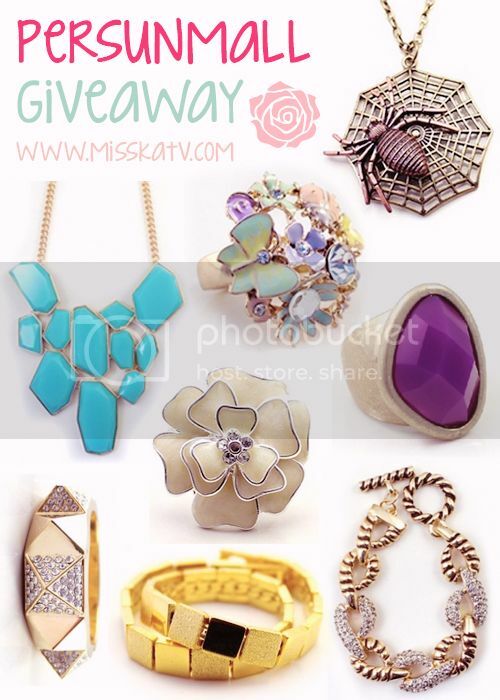 Last day for exclusive jewelry GIVEAWAY!